Forward Chris Stewart has been placed on waivers, the Minnesota Wild announced Sunday morning. 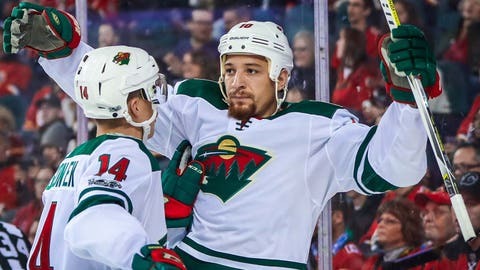 If he clears waivers, the Wild can keep him on their roster, work out a trade with another team before Monday’s deadline or send him to join the Iowa Wild of the AHL. Stewart has tallied nine goals and four assists in 47 games this season.